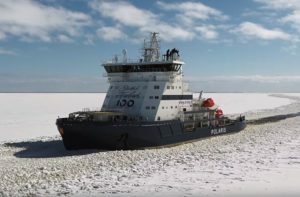 The innovative, efficient and environmentally-friendly Polaris is a perfect example of Finnish icebreaking know-how spanning from design to construction and operation. Please see new video LNG-powered icebreaker Polaris on our You Tube channel. Read more on Aker Arctic´s solutions for Polaris here.